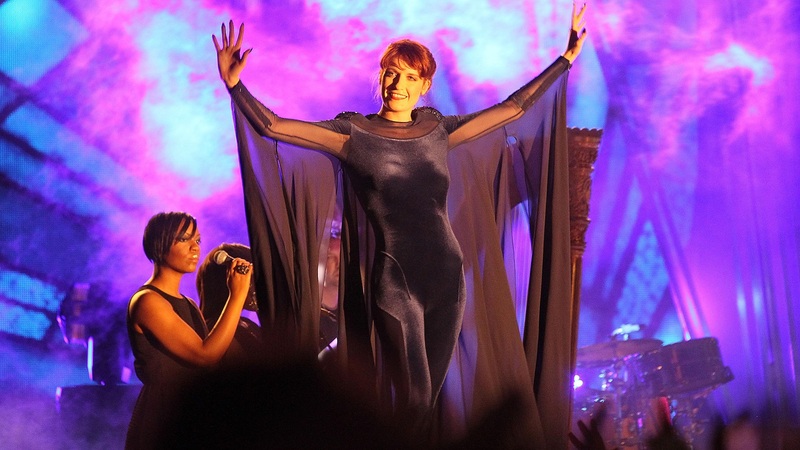 We all know by now that music festivals have been a very male-centric affair. While we’ve seen a very slight increase in female artists on music festival lineups, the sad reality is there aren’t enough. 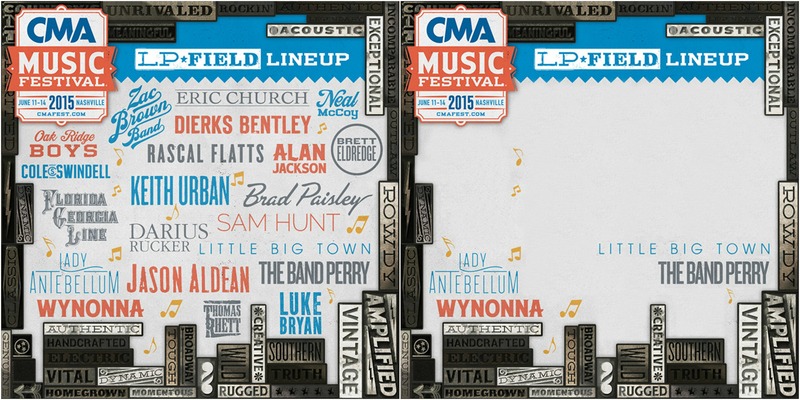 So, we had to know: What do other larger music festival lineups look like? We took a look at Summerfest, Firefly, Governors Ball, Bonnaroo, CMA Music Festival, Lollapalooza and Coachella — and were sincerely blown away with how jarring these images are. *Click on the images to open up a larger version. 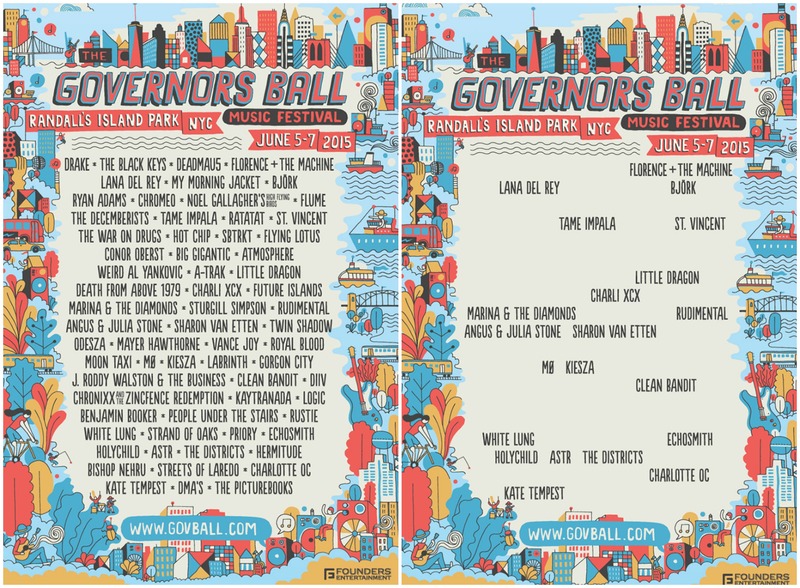 We found that Governors Ball, a music festival in NYC, had the most female inclusion — at 30 percent. The lineup includes a total of 66 artists, 20 of them female. 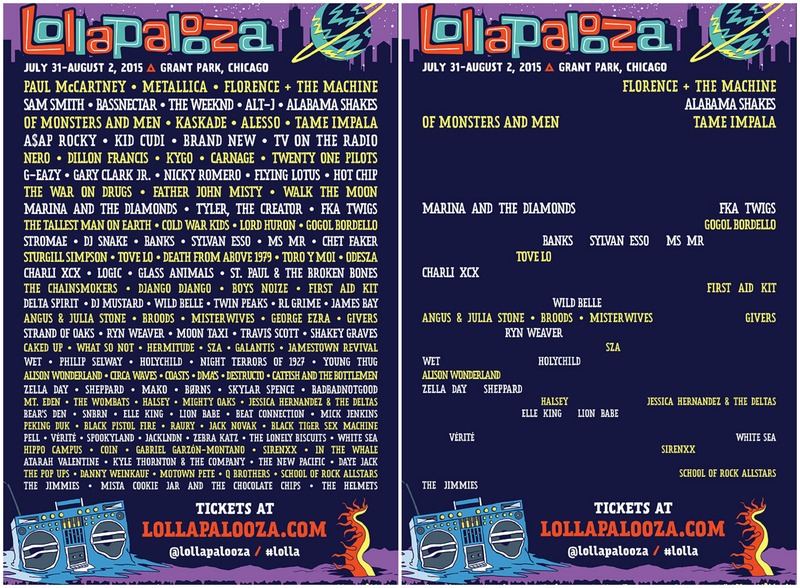 Lollapalooza — one of the most popular music festivals in the United States, located in Chicago — has a total of 135 artists on the lineup, 34 of them including at least one female member. That makes this lineup 75 percent male. 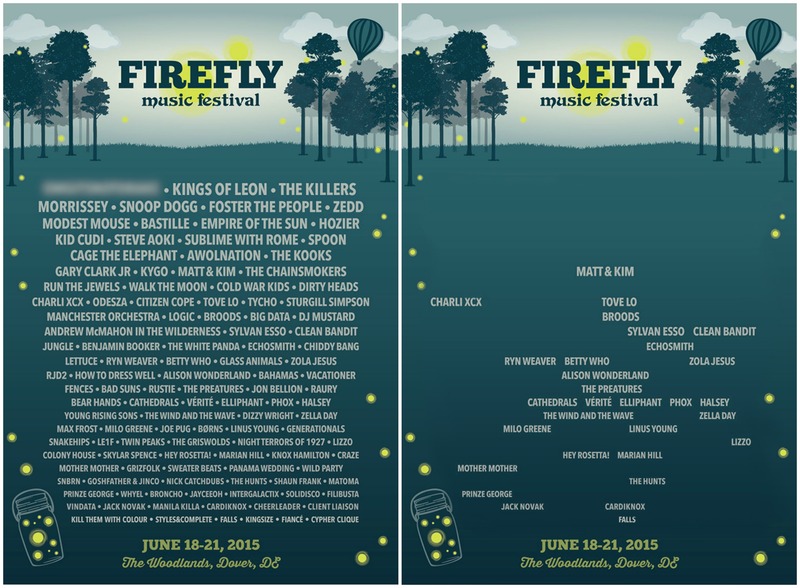 Ranking right below Lollapalooza is Firefly Music Festival, located in Delaware. The festival has a total of 119 acts listed, 29 of them female. 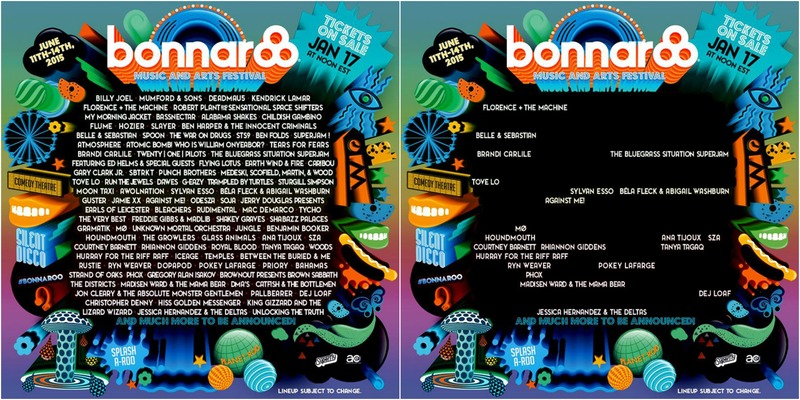 Held in Manchester, Tennessee, Bonnaroo has more than 75 percent of its lineup comprised of bands entirely of men. It has a total of 100 acts listed, 23 of them female. 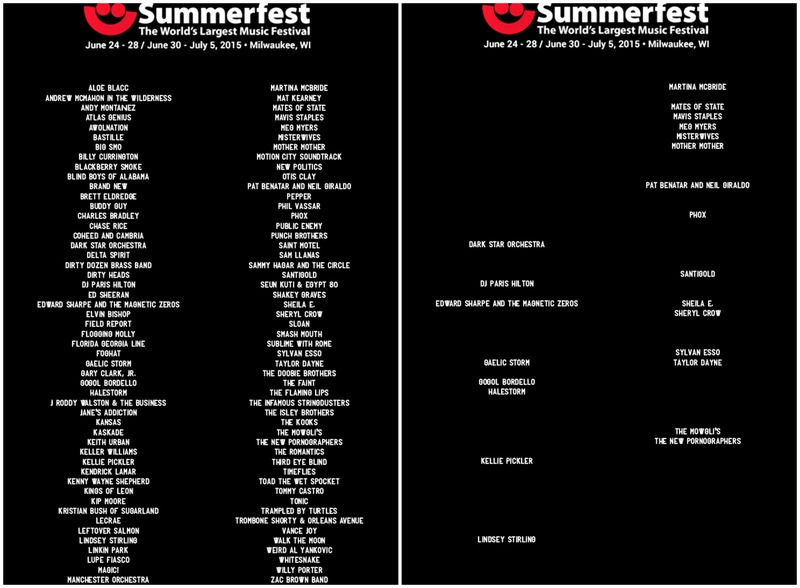 Considered the “world’s largest music festival,” Summerfest, located in Wisconsin, has a total of 111 artists, 23 of them having at least one female member. Although the CMA Music Festival — located in Nashville, Tennessee — has just 21 country awards acts on its lineup, only four are female. This is the biggest offender. 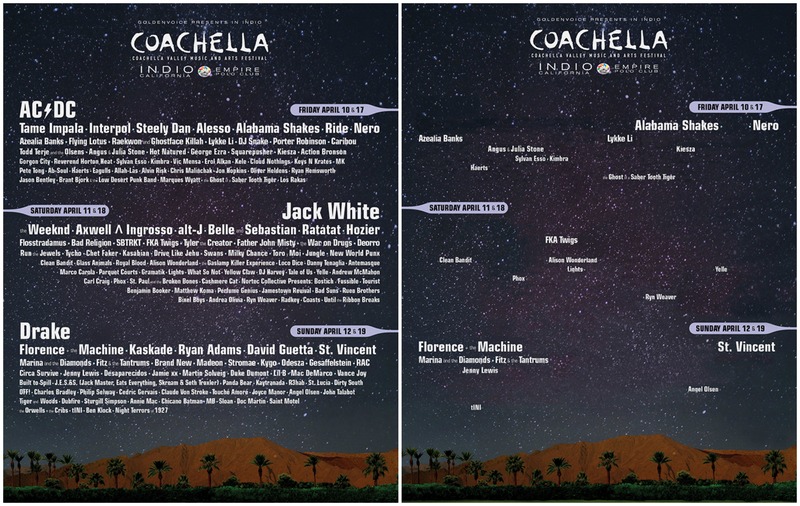 Coachella has a total of 162 bands spread out through its three-day event; however, only 22 are female. Are festival organizers aware that this is happening? Of course. Do they care? Probably not. This is nothing new, but with reports showing that festivalgoers skew slightly more female — for instance, the UK Festival Census 2013 states 42 percent were male and 58 percent were female — why hasn’t this changed? There surely isn’t a lack of female artists out there. In fact, SheKnows Expert and female electropop musician Lori Steele was shocked when she saw the lineups. “To have that large of a discrepancy feels insane! Can we change this? Steele thinks so, stressing the importance of support for female artists. Tell us: Have these posters changed your mind about music festivals and should music festival organizers strive for more gender equality in their respective lineups?